In the waning months of the second World War, a group of children discover an earthen tunnel in their neighborhood outside London. Throughout the summer of 1944 - until one father forbids it - the subterranean space becomes their "secret garden," where the friends play games and tell stories. Six decades later, beneath a house on the same land, construction workers uncover a tin box containing two skeletal hands, one male and one female. Lots of atmosphere, and a Freudian mystery. Liza is raised in a remote rural hamlet. One evening, Liza’s mother orders her to leave home forever. Paralyzed at having to fend for herself, Liza finds refuge with Sean, a drifter with whom she begins to share the bizarre story of her life. Walking to the shops one day, 50-year-old Eugene Wren discovers an envelope on the street bulging with cash. A man plagued by a shameful addiction - and his own good intentions - Wren hatches a plan to find the moneys rightful owner. Instead of going to the police, or taking the cash for himself, he prints a notice and posts it around Portobello Road. This ill-conceived act creates a chain of events that links Wren to other Londoners - people afflicted with their own obsessions and despairs. In a gloomy cellar, the figure of a beautiful, pale woman makes no move when the man advances on her from the shadows, puts his hands around her neck and strangles her. Arthur Johnson is a mild-mannered, shy man who has never known how to talk to women. His resulting loneliness has twisted his yearning for love and respect into a carefully constructed predilection for violence and control. Senta Pelham is a mirror image of Flora, the lovely marble bust Philip fanaticized about for so long. But life, like art, is not always what its mere surface suggests. And Senta’s strange world of make-believe, where truth and falsehood are eerily interchangeable, soon draws Philip into a shadowy cloister of vague and uncertain terror. As always, Rendell writes a very engaging yarn! 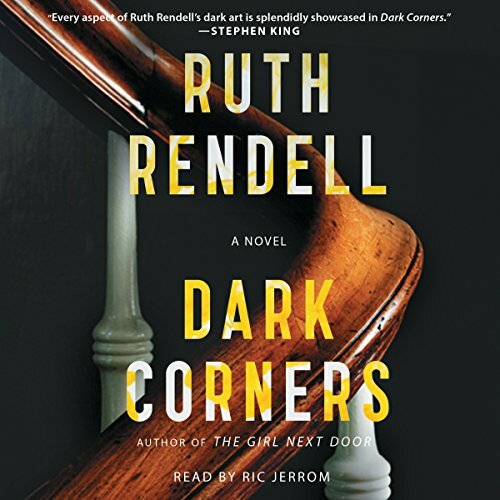 A spectacularly compelling story of blackmail, accidental murders, and of one life's fateful unraveling from Ruth Rendell - "one of the most remarkable novelists of her generation" (People) - writing at her absolute best. When his father dies, Carl Martin, a philosophy graduate and struggling novelist, inherits a house in a trendy London neighborhood. Carl needs cash, however, so he rents the upstairs room and kitchen to the first person he interviews, Dermot McKinnon. That was colossal mistake number one. Mistake number two was keeping his father's bizarre collection of homeopathic "cures" that he found in the medicine cabinet, including a stash of controversial diet pills. Mistake number three was selling 50 of those diet pills to a friend, who is then found dead. Now Dermot seizes a nefarious opportunity and begins to blackmail Carl, followed by his refusal to pay rent and a truly creepy invasion of Carl's space. 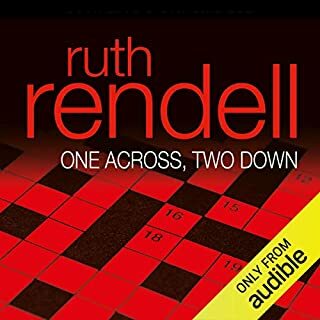 Ingeniously weaving together two storylines that finally merge in one shocking turn, Ruth Rendell describes one man's spiral into darkness - and murder - as he falls victim to a diabolical foe he cannot escape. 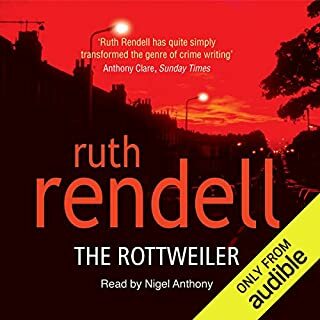 This is masterful storytelling that gets under your skin, brilliant psychological suspense from Ruth Rendell. 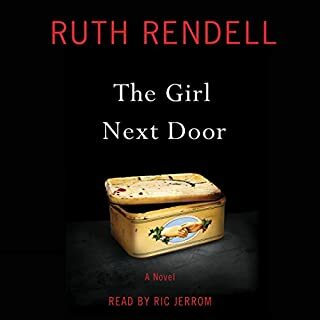 Would you try another book from Ruth Rendell and/or Ric Jerrom? It was boring, main characters were people who did nothing and when they did, it wasn't believable. Went on way too long. Narration was fine. What could the narrator do with such a dull and unrealistic plot? What character would you cut from Dark Corners? 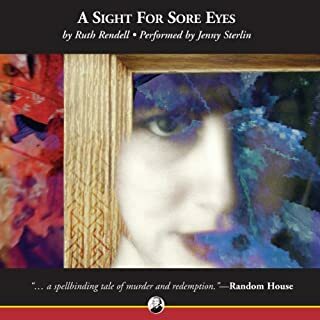 This is another great book by Ruth Rendell. 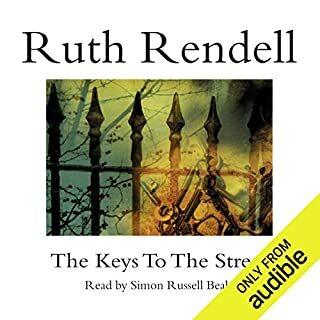 A psychologically interesing listen (not scary) with lots of quirky characters (the best kind!). Ruth Rendell does it again. Check out some of her other books if you haven't already. After finishing the book, I got the impression that the usually crafty and perceptive Rendell was "off her game"—especially in multiple plot integration, something that she usually handles brilliantly. The plot begins with two focal characters, each with a storyline that emphasizes certain similarities, especially weaknesses of ethical fortitude. Each is faced with ethical choices that will determine their futures. I expected these storylines to develop in contrast throughout the novel, or that these two characters' stories would become intertwined. In fact, neither of these things happened. The author seems to lose interest in one of the characters and drops her for most of the last half of the novel; as structured, this initially important character fades away. What does Ric Jerrom bring to the story that you wouldn’t experience if you just read the book? The narrator does a fine job of keeping the book moving at an enjoyable pace, but isn't given much chance to underscore changes in mood or tone, or to emphasize a climax because there isn't one. Do you think Dark Corners needs a follow-up book? Why or why not? I can't think of a good reason for a follow-up book. The central character is not interesting enough to merit another eight hours of listening time. The characters are not likable and the plot was slow. There are so many great books to listen to, don't waste time/credit on this one. This is another great Rendell, and actually got a bit surprising, as I did not think there would be more than one crazed person, but there were actually a handful. The character of Lizzie got lost somehow towards the end, and that's the flaw in the book for me; the one who was so amoral and weird in the beginning seems to have faded from sight at the end. That loose end needed some tying up--how did she deserve a decent boyfriend when even her FATHER knew she was a sneak and a liar? Oh well, still an interesting read! And wish there were going to be more Rendells--just ONE more Wexford? 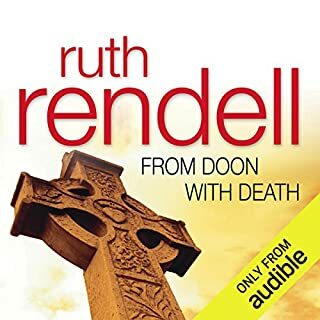 This was not Ruth Rendell's best novel for me - I prefer the Wexford series - but it was a thoroughly enjoyable "listen" and the narrator did a wonderful job of bringing the characters to life. How wonderful that Ms Rendell was still at the height of her powers at the end of her life!